2019 will be a year full of interesting turn-based games, both indie and not so I prepared a list with some of the games I’m following. In this list, you will find the most promising (for me) turn-based strategy / tactical / RPGs with a release date scheduled for 2019. As in my other lists, I will try to keep them updated adding new games that I will discover and that will be suggested by the community. In the list, you will find strategic games, tactical games, and classic RPGs as long as they have turn-based mechanics. For each game, there will be a video, links to their official website, steam page, my overviews, and their release date. Regarding the release date, it may vary over the course of time, so sometimes it may not coincide. 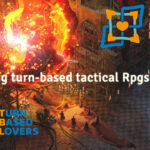 Let’s start with my list of the top upcoming tactical turn-based strategy RPGs of 2019. From the creators of Halfway comes a new turn-based tactical RPG where we should unmask the plans of the Nazis in search of mysterious artifact and find out more about the death of our friend Morten. Each game will be different from the previous one, thanks to procedural maps and a different set of unique story encounters. Initially scheduled for 2018, it was postponed to 2019. Learn more with my overview. DYNAMIC ADVENTURES – No two adventures are the same; each campaign generates a new procedural map and a different set of unique story encounters. TOUGH CHOICES – Every location you visit presents a new hand-crafted story event to explore. Search the well? Save the villagers? It’s up to you! DECISIVE CONFLICTS – Use cover and positioning in exciting turn-based squad combat. Learn to maximize your items and abilities, as well as your team members’ strengths, in ruthless and clever ways! HIDDEN TREASURES – Discover rare artifacts to unlock new content and adventures! Recruit from 16 unique companions, each with their own starting equipment and skill trees! A new Sci-Fi Turn-based game developing by 3MIND GAMES. An interesting mixing of XCOM, MASS EFFECT, and DIVINITY. The combat is focusing on a melee system, with combo, defense movements and more. Learn more with my overview. From the indie 6 Eyes Studio comes a new turn-based Tactics RPG that is a worthy successor of Final Fantasy Tactics. I tried out the early access version and here’s you will find my first impressions. A deep and complex class system with over 20 classes and 200 abilities lets you truly customize every one of your characters through the selection of their class, sub-class and passives. Carefully craft the character you envision, be it a versatile generalist, a dedicated spell-caster or a mighty foe-crushing specialist! Hand-painted character art & a pixel-perfect world designed by artist Becca Bair (Vidar, Dreamblazers). A labor of love! Turn-based battle system provides limitless strategy & challenges. Retro-style sound effects & modern chilled out jazz tunes by Moritz P.G. Katz (Fort Meow, German Wahnsinn) bridge the gap between yesterday & today. Developed by Shockwork Games, Alder’s Blood is a promising dark tactical turn-based strategy game. A game that I have been following for quite some time, and which I think is very interesting. Read my overview to learn more. From the creators of Wasteland 2 and Torment: Tides of Numenera comes Wasteland 3! Following the critically acclaimed releases of 2014’s Wasteland 2 and 2015’s Wasteland 2: Director’s Cut, fans have been clamoring for a direct sequel. Advanced Visibility system that makes you take lighting seriously, as it can be your ally or foe in the predatory game of stealth and survival. Choose from among 20 Backgrounds, lowly or noble-born, human or dwarf, half-elf or Returned. High Fantasy meets Eldritch Horror! Open-world with just the essentials – main hero, his progression, his party, their rise, and survival; no item-hoarding, romance or cat-saving quests. Eidolons offer a high-level play – the game only gives you big decisions to make, and the consequences are equally noteworthy. Heavily inspired by the famous isometric RPGs of the late 90’s and early 2000’s. 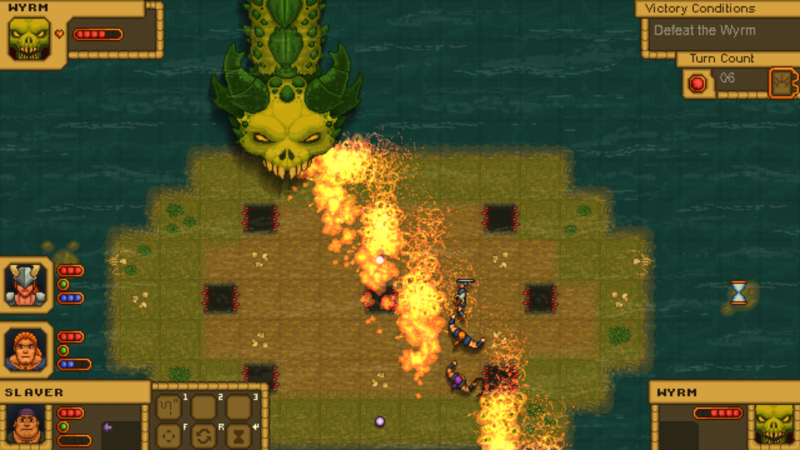 Monster Sanctuary mixes platform elements with those of the classic turn-based RPG and does it with style. Learn more here. Official website | Steam Page | Release date: A beta version is set for early 2019 but the full release will be out on 2020. Realms Beyond by Ceres Games is a classically inspired fantasy role-playing game with turn-based combat and a party system that allows you to control up to six characters at any one time. Open Game License v1.0a (OGL) by Wizards of the Coast, Inc. In Stygian: Reign of the Old Ones, the player journeys from a doomed Arkham into the depths of the Abyss. Create your own character based on 1920’s archetypes and carve a path through a broken and mysterious world. A hand drawn 2D world reflecting Lovecraft’s themes of cosmic horror and dread. A host of weird companions will accompany you on your ill-starred journey: the lonely, antediluvian ‘Outsider’, a fallen soldier of the Great War reanimated by Herbert West. Recruit these and other outlandish beings to your crew. Your character’s Sanity and mental state will influence dialogue options. Mental illness comes with advantages as well as hindrances. Sometimes it pays to be mad in a world gone mad! Stygian’s Belief System determines how your characters cope with the warped reality of the new Arkham, as well as the rate at which they regenerate lost Sanity. Belief Systems also offer unique dialogue options, expanding the breadth of role-playing possibilities. The Hand of Merlin by CroTeam is a turn-based rogue-lite RPG in which Arthurian legend clashes with sci-fi horror. Overland is a squad-based survival strategy game with procedurally generated levels set in post-apocalyptic North America. In Overland, players guide an evolving cast of survivors on a road trip through a ruined continent. To survive the trip, players scavenge for fuel, weapons, and other supplies to help them keep moving and protect themselves from the strange, sound-sensitive creatures roaming the remains of North America. More than a simple restyling of the classic ADOM. More than a simple restyling of the classic ADOM. In Ultimate Adom we will find better graphics, new mechanics, a deep spells system and much more. Othercide by Lightbulb Crew is a horror-themed tactical turn-based game set in an esoteric world beyond our reality. The game will place the player in control of female warriors, in a desperate struggle to push back nightmarish creatures and prevent reality from shattering. Using only black, white and touch of red, the game will drag players into a whole new universe for the genre, to experience a journey through a strange and unknown world, a world that lays behind the mirror of their own minds. We will get more info about the game soon. Breaking the turn-based standard: Introducing the Initiative Sequence system, you will experience a new way to predict enemies’ moves and execute a flawless tactical plan. Foresee danger and set up attack interruptions, devastating delayed actions and lethal reactions. You will have to wisely time attacks and defenses to overcome your adversaries. Brutal gameplay: Including roguelite features, deadly missions, limited resources, and permanent death, every decision counts and comes with a sacrifice, of resources, or in blood! terrible traumas for your Daughters. What will you be ready to sacrifice to ensure victory? In Druidstone: The secret of the Menhir forest we will explore the vast Menhir forest full of ruins, dungeons, and points of interest. We will start our adventure almost completely naked and as we proceed, we will find more and more powerful weapons. The battles take place on a two-dimensional grid using a tactical, turn-based battle system. Learn more in my overview. Grimshade is a tactical role-playing game, in which you play as a party of adventurers, with intricate relationships between each member, in a most unusual setting. A rich, deep, yet straightforward system of equipment-based skill and character role development. Weapons and gear determine a character’s effectiveness and their synergy with other characters. Party composition, skill builds, character positioning – everything has a significant impact on the outcome of battle. Grimshade is a tactical role playing game, in which you play as a party of adventurers, with intricate relationships between each member, in a most unusual setting. A rich, deep, yet straightforward system of equipment-based skill and character role development. Weapons and gear determine a character’s effectiveness and their synergy with other characters. Party composition, skill builds, character positioning – everything has a significant impact on the outcome of battle. Developing relationships between characters will improve their mutual combat effectiveness and influence events in the game. An entire world filled with exciting discoveries and awesome adventures. Meet new and thoughtful characters who don’t know they’re heroes, and grow them into your own legends. Ramble over a world that’s always different, full of really weird things with odd names and twisty desires. Dynamically generated characters come with their own stories and are fully customizable. If you’ve found some interesting game on this list, I ask you to share it and suggest me other cool turn-based games that I will add to this list. Also, check out my list with some of the most interesting turn-based games of 2018.